Yes – IT IS OFFICIAL!! We are SO EXCITED to announce that – Stas Venglevski will be the DIRECTOR for this inaugural ALL ORCHESTRA Retreat. Please plan now! Though EVERYONE IS INVITED – we have to cut off the number of Accordionists to 50! 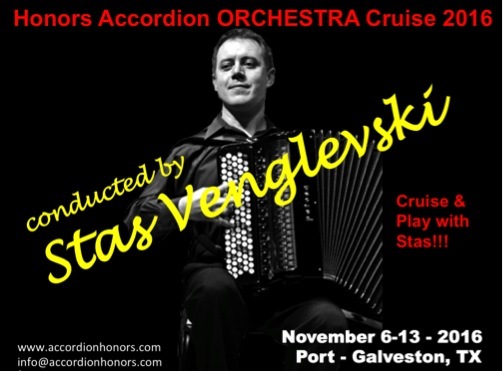 The arrangements will accommodate ALL LEVEL ACCORDIONISTS! This retreat is designed for the serious accordion ensemble accordionists. 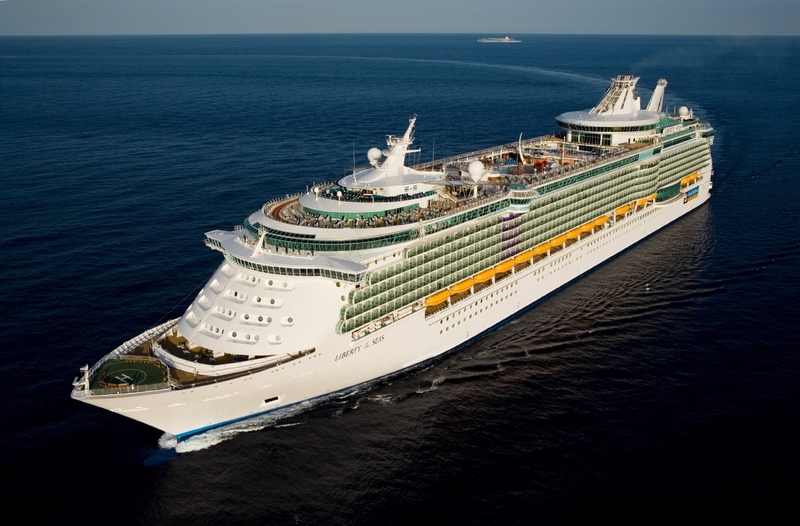 We will be learning and performing light POP to Classical material specially arranged by Stas and Shelia Lee – All designed for the final CONCERT ON BOARD the Royal Caribbean’s Liberty of the Seas! Here is the selected program and parts are being emailed NOW! We plan rehearsals on AT SEA days and YOU ARE FREE on PORT DAYS! A BONUS – Stas is personally inviting accordionists to be part of his CHAMBER ORCHESTRA (that will have their own rehearsal schedule). This group will stay and perform with him in Houston. ALSO – each evening – following the last rehearsal – there will be an opportunity to SHOW OFF – so bring your music and plan to perform with your personal ensembles! $250 deposit per person ($500 per cabin) – 100% refundable until due date – will hold your reservation until Aug. 7 when the balance is due. YOU CAN PERSONALLY SELECT YOUR CABIN!! 25 are already booked ! We can use 10 to 12 more accordionists and need a drummer!! first many thaks for your great and interesting BLOG! to log in! I cannot find a way to register to receive a password. Can you please tell me what to do ? I’m looking foreward to your reply.